Derek Ouyang, age 23, graduated from Stanford University in 2013 with dual Bachelor’s in Civil Engineering and Architectural Design, and in 2015 with a Master’s in Structural Engineering. He co-created the Global Urban Development Program in 2012, was project manager of Stanford’s first-ever entry to the U.S. DOE’s 2013 Solar Decathlon, and has been featured as an up-and-coming designer in the Los Angeles Times, in Home Energy magazine’s “30 under 30”, at TEDxStanford and Stanford+Connects NY and Seattle, and at fiiS 2014 in Santiago, Chile. He is Co-founder of Cloud Arch Studio as well as a lecturer at Stanford. Sinan Mihelčič, age 31, graduated from Ljubljana University in Architectural Design. He participated in the AEC Global Teamwork Project in 2011 and co-created the Global Urban Development Program in 2012, both exploring digital collaboration tools in urban planning and architectural design. He established Skupina Štajn in 2008, an emerging young architectural studio in Kamnik, Slovenia. He is a technical assistant in architectural and urban planning studios at the Faculty of Architecture in Ljubljana, as well as a mentor to the AEC class at Stanford. Klemen Kušar, age 28, graduated from Ljubljana University in 2012 in Architectural design and in 2013 in Economics. In 2010 he was exchange student at Aalborg University and attended a summer workshop for the renewal of favela Dona Marta in Rio de Janeiro. He participated in the Global Urban Development Program in 2012. In 2008 and 2010 he was awarded 1st and 2nd place in the Isover Multi-Comfort House Design, and in 2012 was awarded the University of Ljubljana Prešeren Prize for his master’s thesis about public participation in the process of gentrification of urban sprawl. He is author of several articles regarding this matter. 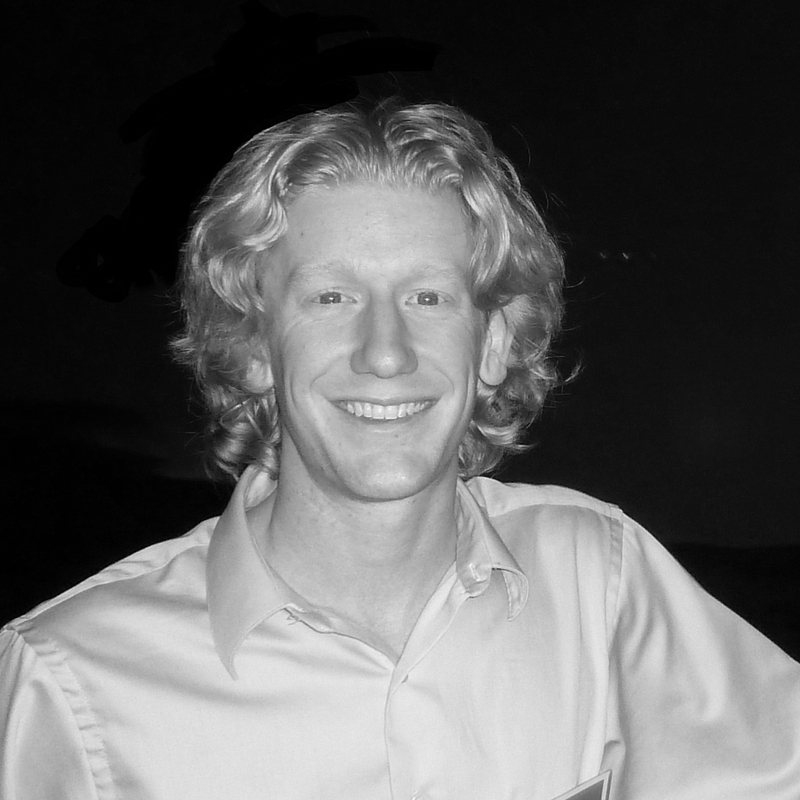 Rob Best, age 26, is a Ph.D candidate in Sustainable Design and Construction program of the Civil and Environmental Engineering department at Stanford University. His research focuses on network planning, integration, and optimization of urban infrastructure systems. He has a B.S. in Engineering from Harvey Mudd College and an M.S. in Civil and Environmental Engineering from Stanford. He was the Design and Construction Manager for the Stanford Solar Decathlon Team, a student-driven project to build a net-zero energy home. Rob is also the Projects and Education Director for Engineers for a Sustainable World, a U.S. based non-profit that advances project-based learning and knowledge-sharing on sustainability and engineering nationwide. In 2010-2011, as a Thomas J. Watson Fellow, Rob researched the socioeconomic and political conditions that foster eco-city development worldwide. He also has experience as a consultant modeling the energy consumption of buildings and urban developments and evaluating the long-term impacts of pollution and hazardous industries. Robert De Santiago, age 25, graduated from Stanford University in 2011 with a B.S. in Architectural Design and extensive coursework in Urban Studies. At Stanford, he was a Krupp Internship Program fellow, co-taught “Introduction to Architecture Modeling” with Derek Ouyang, and was the recipient of the Director’s Prize for Architecture. As a Junior Designer at Derek Wee Architecture and Brechtel Architecture, Robert gained project experience through all design phases. He is currently a BIM consultant and Junior Designer at JTD Architects, where he is leading a transition to Revit and is participating in multiple design projects, including a 240-unit mixed-use development in Santa Monica. Rebecca Diaz-Atienza, age 27, is an Architect in Training with three years of experience in Oficios MA, a design-build firm in Puerto Rico that due to its small size has allowed her to be fully involved in project development from schematic design to construction administration, as well as in the management and administration of the company. She has a Master’s degree in Architecture (2009-2011) and a Bachelor’s degree in Environmental Design (2005-2009), both from the University of Puerto Rico. Her academic experience was complemented with the AEC Global Teamwork Project from the PBL Lab at Stanford University where she learned that a collaborative multidisciplinary approach results in more innovative buildings designs. Recognizing the value of this approach, she has continued to develop collaborative projects through the firm ‘Cloud Arch Studio’ (2014). The firm’s most recent achievement was having their design be selected for the Market Street Prototyping Festival that took place in San Francisco on April 2015 and being part of the prototypes selected for further development. She has plans to pursue further studies in Design Management on Fall 2015. 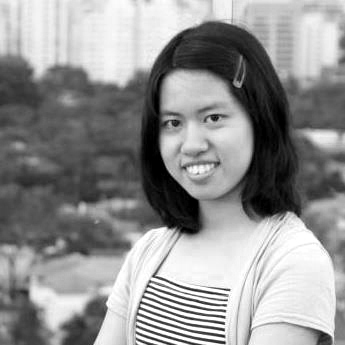 Alice Eamsherangkoon, age 25, graduated from Stanford University with a Bachelor’s in Product Design and Master’s in Mechanical Engineering. She was a member of Stanford’s first Solar Decathlon team and helped build a 1000-square foot solar house as part of the 2013 Solar Decathlon competition sponsored by the US Department of Energy. She is an alum of the Stanford d.school’s Design for Extreme Affordability sequence and co-founded EarthEnable, a social enterprise aiming to improve health and living conditions in low-income communities with affordable, sanitary floors. Dimitris Farmakis, age 28, graduated from Stanford University in 2012 with an M.S. degree in Civil & Environmental Engineering (previous degrees in Business and Operations Research). He participated with the Stanford team and reached the 1st place in the 24th Annual ASC Construction Management competition. At Stanford he was the head Teaching Assistant (TA) for the Building Information Modeling (BIM) courses and also he founded the CEE 224 – Sustainable Development Studio class. After Stanford he founded his startup in Greece offering BIM consulting services and participated as a speaker in two conferences in Greece on Design and Green Buildings. He occasionally teaches remotely at Stanford’s BIM courses as a visiting instructor, and works with a Silicon Valley startup on construction scheduling. Victoria Flores, age 25, is currently a Master’s student at Stanford in Computer Science with a concentration in Human Computer Interaction. She graduated with a Bachelor’s in Art Practice with extensive coursework in drama and architecture, including a class with Camille Utterback. With a strong interest in designing experiences she has worked on a wide range of projects, from set design and event planning to working at the Exploratorium and scenic painting at Williamstown. She participated in the AEC Global Teamwork Project in 2010 and was the Computer Science Lead for the Stanford Solar Decathlon team. Collin Lee, age 24, is a Ph.D. student in Computer Science at Stanford. He received his B.S. from Santa Clara University with a double major in Electrical Engineering and Computer Science and Engineering and M.S. in Electrical Engineering at Stanford. His current research focuses on large-scale distributed systems, and he has a passion for driving the integration of technology to enrich our lives. As the Controls Lead for the Stanford Solar Decathlon Team, Collin headed the interdisciplinary team that designed and implemented the Start.Home’s controls and monitoring systems. Collin brings his wide range of experiences from embedded devices to user interface design, emphasizing systems engineering and close collaboration between hardware, software, and design. Janž Omerzu, age 25, is a fifth-year student at the Faculty of Architecture in Ljubljana. He participated in the AEC Global Teamwork Project at Stanford in 2012, as well as an interdisciplinary Erasmus workshop in Krakow that focused on revitalization of old industrial areas in southern Poland. He was awarded 1st prize in a student competition that focused on pop-up architecture out of 45 competition entries. He currently works as a technical assistant at the Faculty of Architecture and as an intern architect at Slovenian architectural office SADAR + VUGA. Karolina Ostrowska, age 27, graduated from Warsaw University of Technology in Architectural Design and from the University of Warsaw with Bachelor’s in Mathematics. She will return in the fall for a PhD in Architecture. She participated in the AEC Global Teamwork Project at Stanford in 2012. In 2013, in collaboration with representatives of the University of Warsaw, she developed a concept of revitalization of a pre-war Polish astronomical and meteorological observatory in Chornohora, Ukraine. She is an ArchiCAD trainer and member of BIM Team, a BIM technologies training center authorized by Graphisoft. Nicholas Petitmaire, age 26, graduated from Aalborg University in 2014 with a Master’s in Architecture. He spent his childhood in Philadelphia and currently lives in Copenhagen, Denmark where he has interned for Dorte Mandrup Arkitekter. He participated in the AEC Global Teamwork Project in 2012. Felipe Pincheira, age 30, is originally from Constitucion, Chile and is an advocate for interdisciplinary work and radical collaboration. He has a double B.S., and a double M.S. degree, in Mechanical and Civil Engineering. He was the mechanical lead and one of the original members of the Stanford Solar Decathlon Team. Previous experiences include projects in power systems and energy efficiency of buildings, but his new passion is design thinking. He is currently working at Sun Edison, where the North American DG group designs solar systems in the range of 100kW to 10MW. They develop rooftop, ground mount, and canopy systems all throughout continental U.S., Hawaii, and Puerto Rico. Domen Stražar, age 21, is a third-year student at the Faculty of Architecture in Ljubljana. He has been a member of Skupina Štajn since 2010, leading a student project for Kamfest 2013. In 2013 he started a project to revive one of the degraded industrial areas in Kamnik, the Alprem factory brownfield. The goal of the project is to convert the industrial space into a new activity/leisure center for Kamnik in the next five years. In the first phase, he designed and led the construction of a wooden indoor skatepark, and in the current next phase he is working on the design of a hostel on the site. Tina Vilfan, age 29, is writing her thesis on revitalization of old town cores through temporary usage of space at the Ljubljana Faculty of Architecture. She has been working as an architect at Techline projekt d.o.o. for 5 years and has constructed, managed and built projects. For the past year she has been living in Copenhagen, Denmark where she worked at We Architecture and collaborated on several open architectural competitions. From 2009-2012 she has been a member of Board of European Students of Technology, where she participated and organized international courses. During the faculty she attended 10 workshops focusing from sustainability, urbanism, landscape to revitalisation. 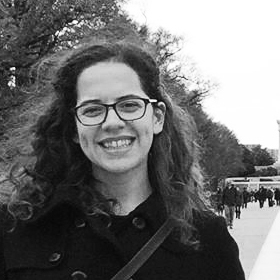 She joined the team with participation in the Global Urban Design Course in 2012.